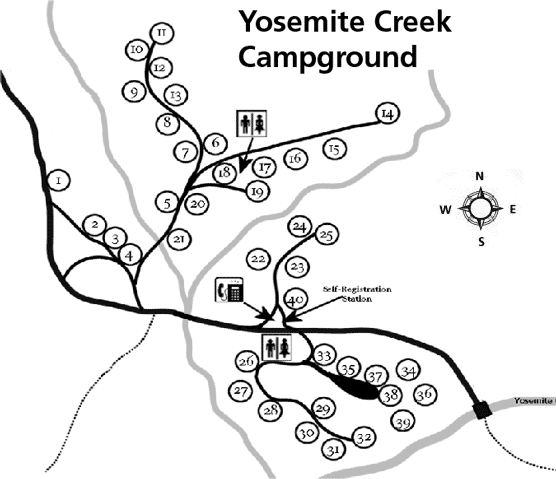 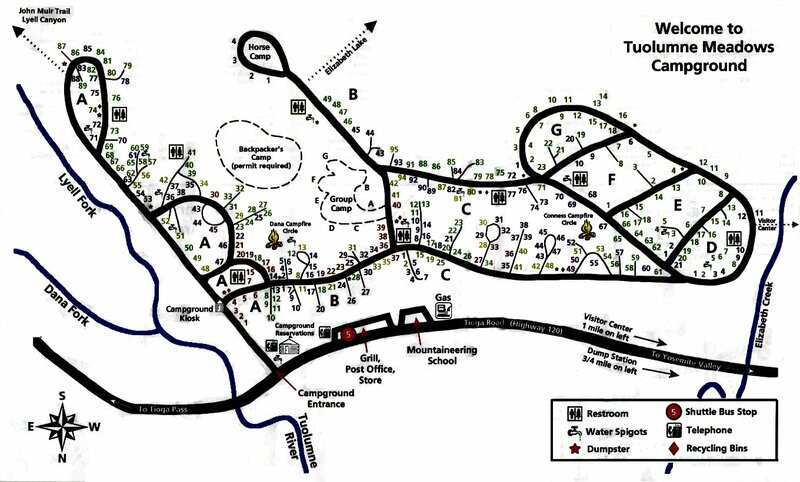 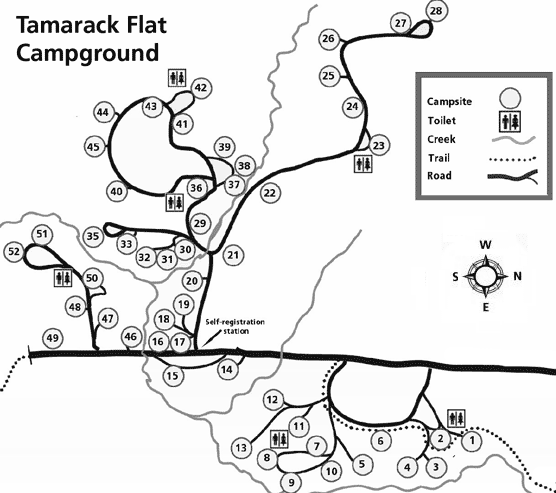 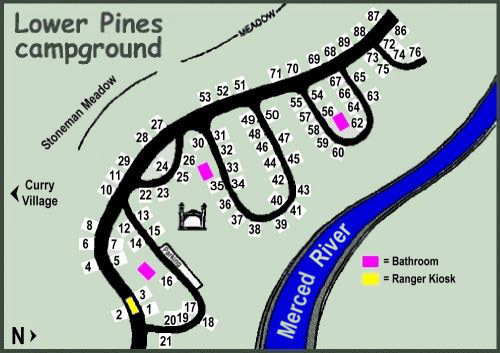 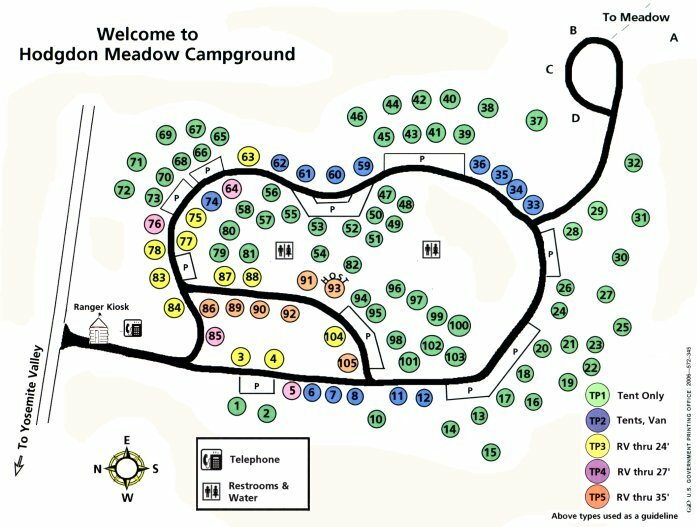 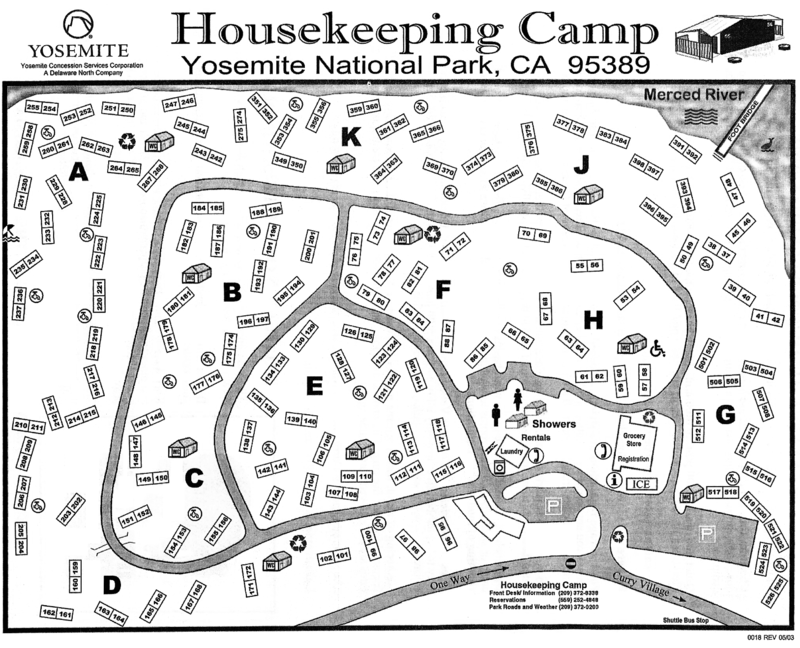 Only maps of campgrounds inside Yosemite Park are shown. 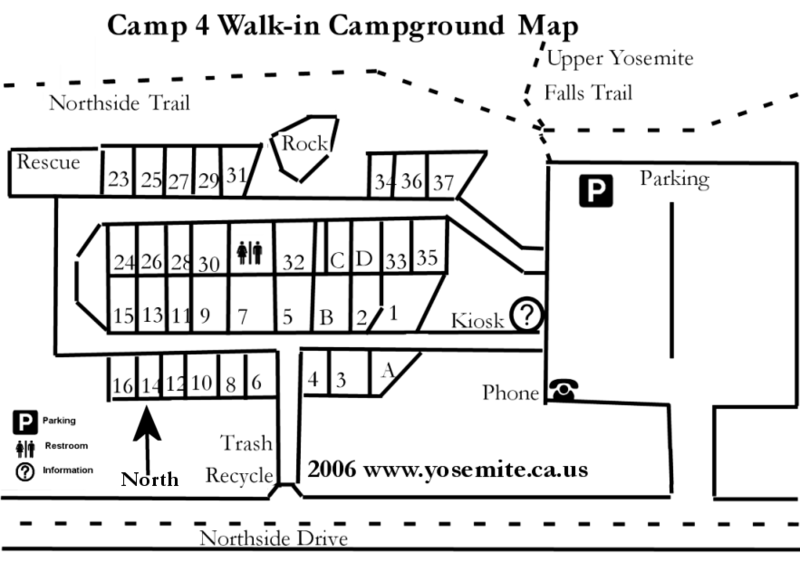 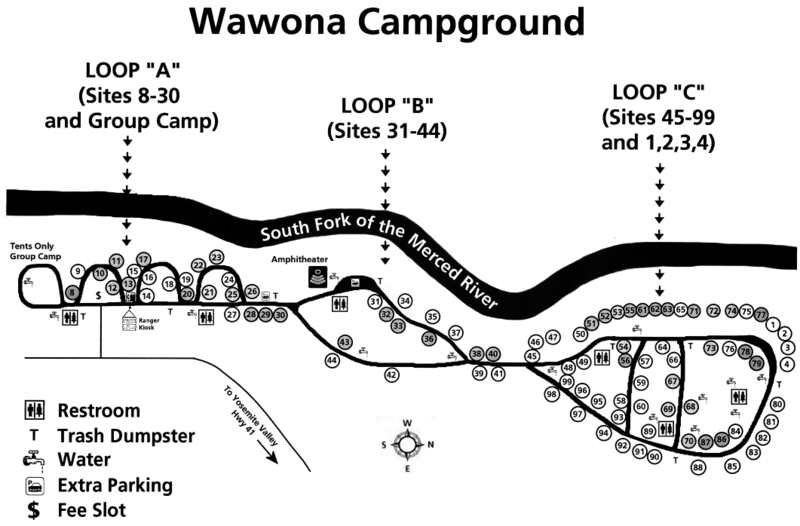 Campgrounds are also available outside Yosemite Park. 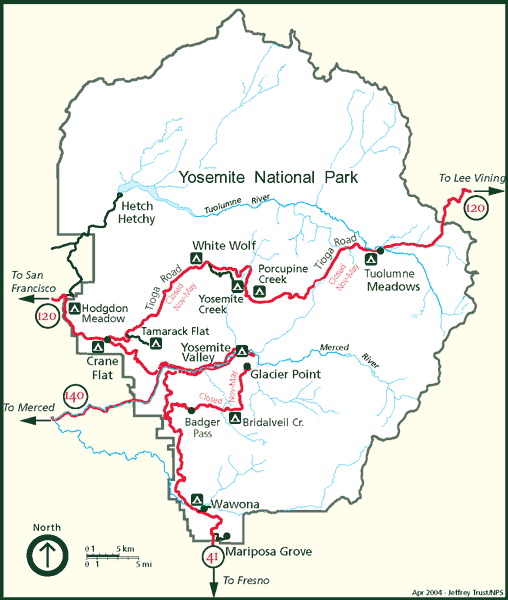 Use of these maps is subject to the disclaimer below. 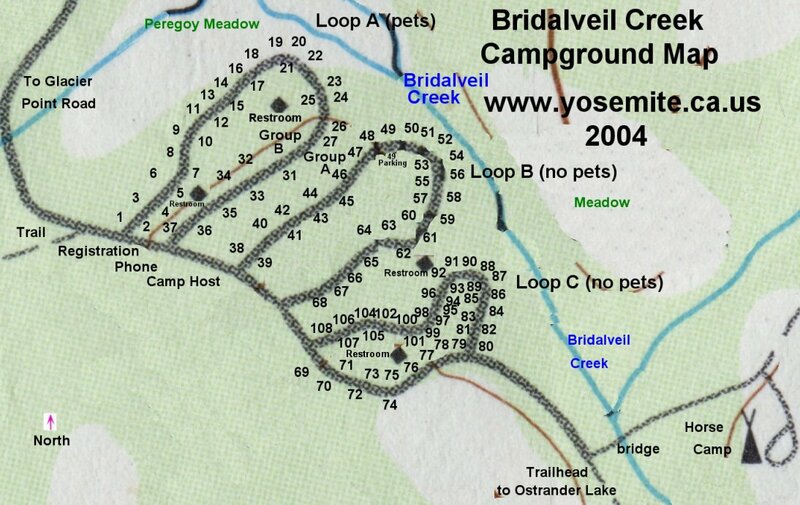 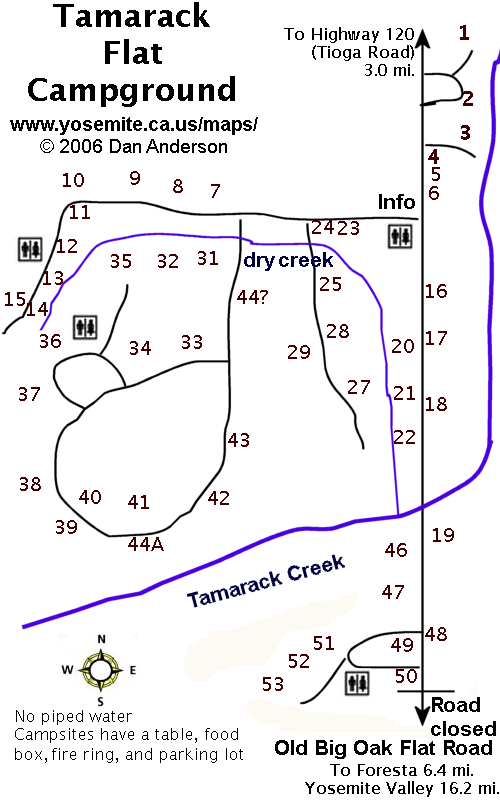 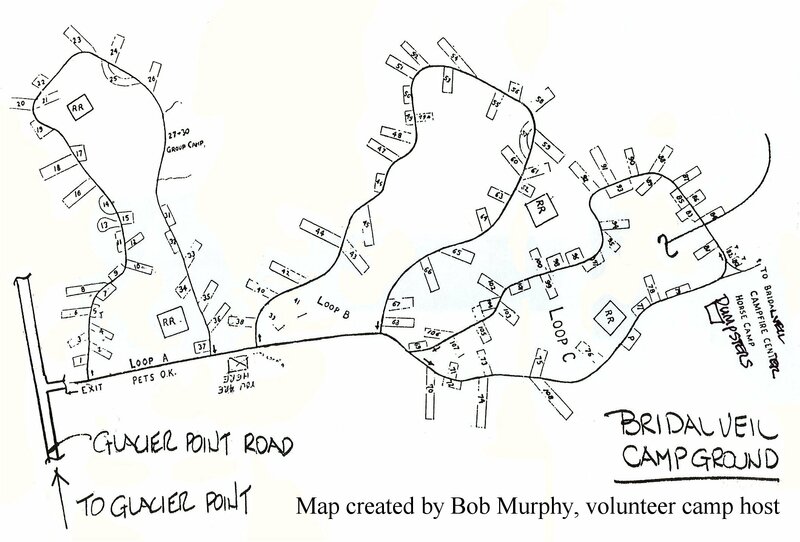 For backcountry trails away from roads please use a detailed topographic map (not these maps). 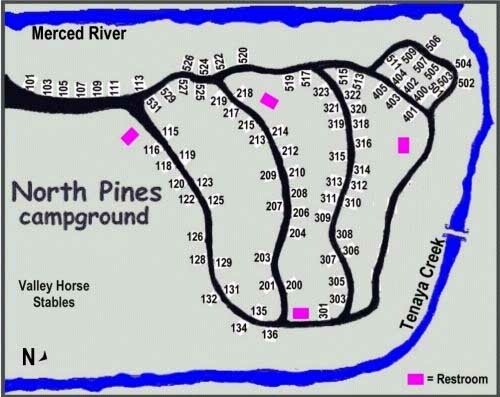 We provide these maps as a free service. 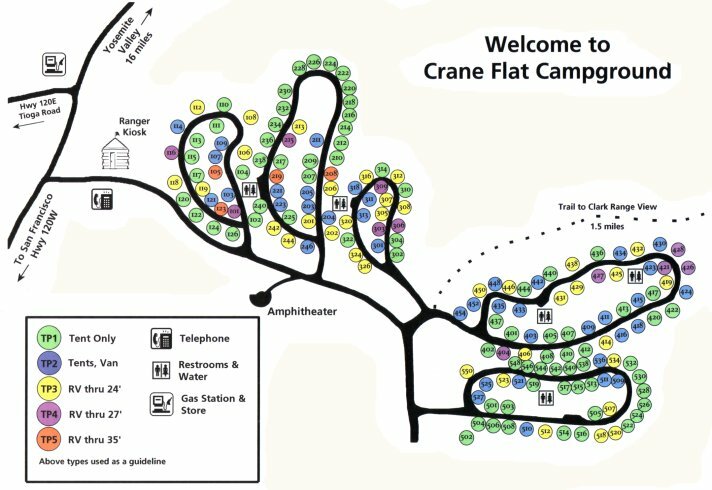 While we’re satisfied that the maps are accurate in the majority of cases, we are aware that some are not and make no guarantee as to their accuracy. 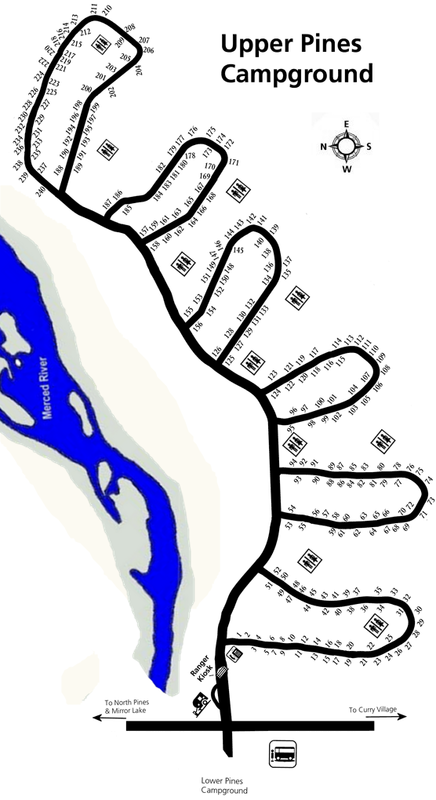 These maps are provided “as is” in the hope that it will be useful, but WITHOUT ANY WARRANTY, to the extent permitted by law; without even the implied warranty of MERCHANTABILITY or FITNESS FOR A PARTICULAR PURPOSE. 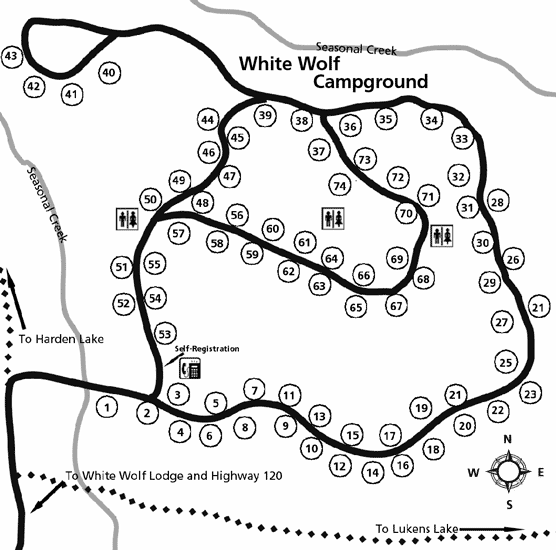 Please use these maps as a guide and not as definitive information.